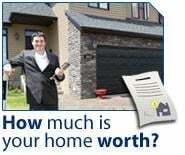 Want to know what your property is worth? FREE Comparative Market Analysis! The correct selling price of a home is the highest price that the market will bear. market (supply & demand, economy, interest rates, etc.) set the pricing. To assist you in determining the correct asking price (to minimize the chance that you would sit on the market for years, like so many other properties are doing), we will provide you with a comprehensive market analysis of comparable properties sold and offered for sale in your neighborhood and/or area. To provide a more detailed Comparative Market Analysis, we would be more than happy to also assess your listing in person or even shoot you a ballpark via e-mail. Simply enter your criteria below, and we will provide you with a speedy response. The more information given, the more accurate the evaluation. All information you provide is secure and will be kept strictly confidential. There is no obligation. Please indicate when you are thinking of selling and if you are moving within Northwestern Michigan or relocating outside of our area.